We are one of the leading manufacturers, suppliers and exporters of Designer Kaftans and Kurtis. Our products are appreciated for their striking attributes such as vibrant colors, latest trends and color fastness. We are one of the leading manufacturer, exporter and supplier of Designer Kaftans and Kurtis. They are available with us in different colors and shades. 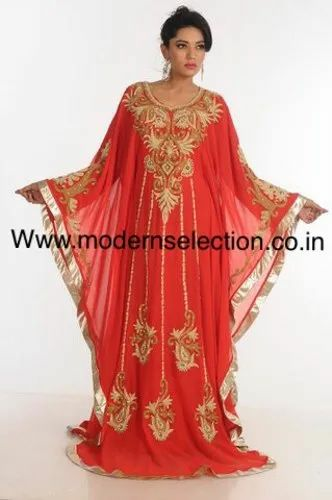 We have an array of Designer Kaftan, Stylish Farasha Kaftans, Designer Kurtis, Jalabiya Kaftan, etc.